Essentially shaping involves creating a task analysis of steps in which each step replace the one before it. The example I used when I talked about task analysis was increasing the amount of time that a student remains in a group activity. I don’t say participate because while participation is my goal, first I need to teach them to stay there. If they leave the group, they can’t participate. Below are 2 task analyses for these skills individualized for different students with different skills. 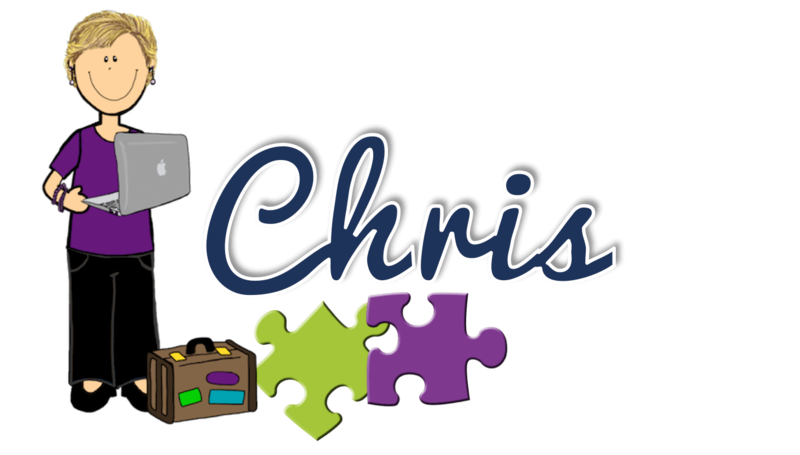 Check this post for more information about the need to individualize. Let’s look at Max’s task analysis on the right in the picture above. In shaping you would prompt and reinforce Max for remaining in the group for 2 minutes. After 2 minutes he gets to leave. You could have him come back for another 2 minutes to get in multiple opportunities in during the group, but you don’t push him beyond the required time. He gets reinforced with a token, an activity or whatever you assessed his reinforcers to be, just for staying in the group for those 2 minutes. When he can do that for a set period of time (e.g., 3 days in a row), then he gets reinforced if he stays for 5 minutes. The 5 minutes replaces the 2-minute step before it. And so on until, using baby steps until he can stay for 20 minutes. This moves the student toward the goal by teaching him how to stay in the group and reinforcing him for being successful, instead of making him stay in his chair and thinking that forcing him to do it or prompting him to stay is teaching him to stay with the group. Remember that when you are training for a marathon, you don’t start out running 26 miles if you have never run before. We use shaping frequently in teaching speech and communication and often it’s called reinforcing successive approximations. Working with students on expressive language, we accept any sound for the word we are working on, then we might accept only sounds that sound like the word but aren’t perfect, and then we reinforcer closer and closer approximations until we hear the word pronounced perfectly. Each time the student meets a step, he / she gets reinforced. We use shaping when we teach handwriting by reinforcing successive approximations. We might start with a scribble and then move toward a line and then move toward a shape, long before we get to letters. Phase 2 of the Picture Exchange Communication System (PECS) uses shaping. Phase 2 is designed to increase the space between the student and the communication visual (so he / she has to travel to the book to get it) and increase the space to their communicative partner. You can see an example of it in the beginning of this video. So, given that shaping is something we can use in many situations, what are some tips for making sure we use it effectively. You need to choose a behavior that you will increase and that is actually a behavior. A behavior is defined as “anything a dead man can’t do” so it can’t be a lack of something. For instance, you can’t use shaping to reinforcer “not crying.” A dead man is capable of “not crying.” You would use another process to address reducing crying. Shaping is a reinforcement procedure, so we can only use it to increase a behavior. So remaining in the group or in a chair is a behavior you can define. Participate, be respectful, and be kind are not behaviors you can clearly define and really there are other behaviors you really want to decrease instead. It’s important that you only teach the steps that the student needs to learn and can’t do and not spend time on things he can do. It’s also important to make sure that you have the skills mastered before the steps you start with. If a student can’t sit for 2 minutes, starting at 10 minutes is going to frustrate both of you. As I noted when I talked about task analyses, you need to individualize the steps as well. Don’t start the marathon at 26 miles if you have never run before. Also, if more than one person is working on teaching the skill, make sure you have a written task analysis to assure consistency of the steps used. That way one person isn’t asking the child to complete more of a step than another. In some cases, it helps to tell the student the goal. You can use a social narrative or a token board with the time or step on it. This won’t help with all students and you won’t be able to do it with some skills (e.g., articulation), but sometimes telling the student the approximation you are reinforcing helps them work toward it. This is more important with shaping than with almost any other strategy. It’s tempting to push a student when he is successful with a step to see if he can do the next step. When he stays in the group for 2 minutes, it’s tempting to not reinforce and see how much longer he can stay. When we are teaching him to work, it’s tempting to see if he can work just a little bit more if he was successful at today’s step. However, that undermines the teaching. The teaching works because you are being systematic and consistent with it so everyone knows what to expect. If you want to see some classic examples of reinforcing successive approximations, go to You Tube and search for clicker training. These aren’t children being trained, so I’m not using them as a direct comparison but they are a good example of the power of the shaping procedure. So, essentially think of shaping as training to run a race. You start with going a little farther than you can run now and you slowly increase how much you run. 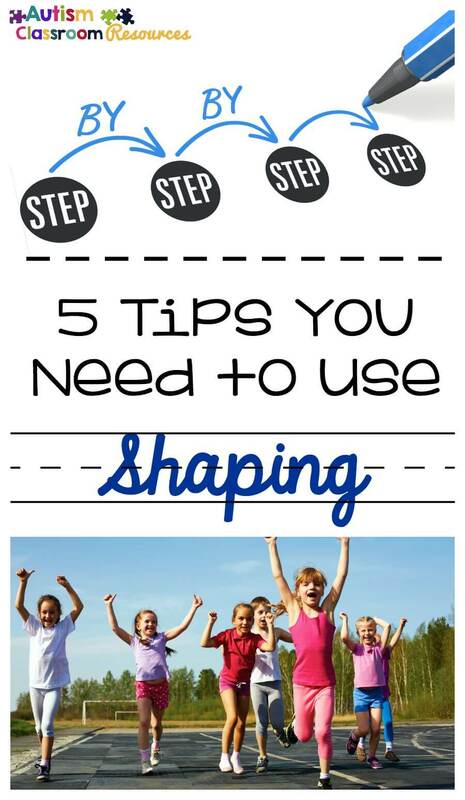 How do you train your students with shaping? Interested in the rest of the Effective Interventions in ABA series? Click here.